Founded in 1998, PDQ Couriers was established as one of the country’s first temperature controlled couriers. The company was founded by the current Managing Director, Brian Brennan, and his wife, Amanda Brennan, with the aim of becoming the country’s premier temperature controlled courier. Since then, PDQ Couriers has transformed itself in a niche provider of specialist courier services. Our customer base ranges from NHS trusts to blue-chip multi-national companies such as GlaxoSmithKline, Johnson & Johnson, Unilever and Virgin. 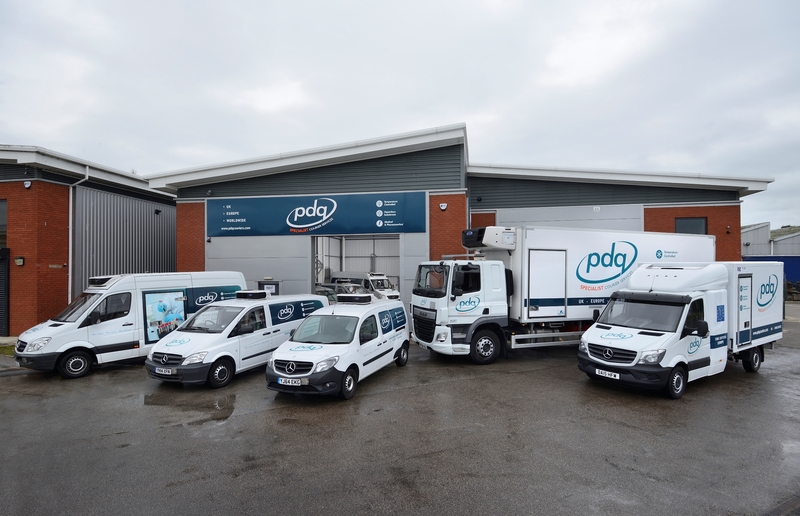 PDQ Couriers provides its specialist courier services across the pharmaceutical, hazardous and medical professions with a range of highly specialist temperature controlled solutions. We ensure traceability throughout the delivery process, giving customers the ability to track the minute-by-minute location and temperature of their consignments through their unique portal. In addition to our comprehensive UKAS ISO 9001:2015 Quality Management System, all our drivers hold full ADR and GDP certification and our procedures and vehicles adhere to all MHRA guidelines. Unique to our company, this complete certification allows our team of drivers to carry all spectrums of hazardous pathology samples, pharmaceutical products, clinical trials, radioactive materials and nuclear medicine.